There are strong indications that some top members of the All Progressives Congress are awaiting the decision of President Muhammadu Buhari on whether to contest the 2019 presidential election or not. Saturday PUNCH gathered on Friday that the President’s decision on whether he would contest in the election would determine if some chieftains of the APC, including former Vice-President Atiku Abubakar, and Senator Rabiu Kwankwaso, would defect from the party. It was learnt that Buhari had been quiet about his political ambition. A top government official, who spoke with Saturday PUNCH on condition of anonymity, said the issue had not come up in any of the discussions Buhari had with his visitors in London and that he had not shared his decision on the matter with any of his associates. 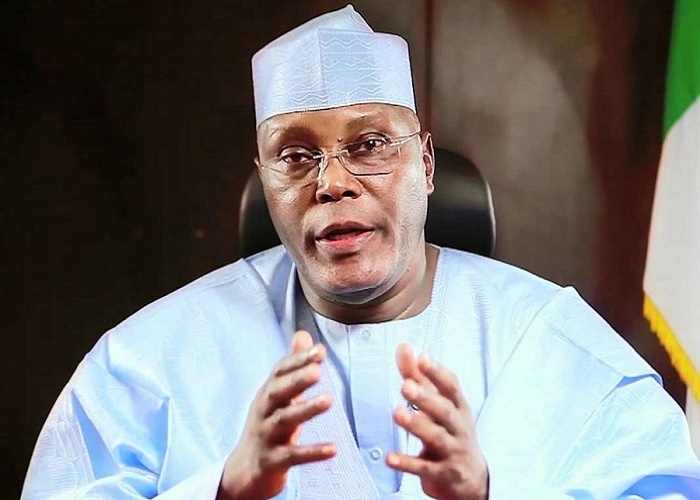 Investigations, however, showed that Atiku might defect to the Peoples Democratic Party if Buhari eventually decides to contest in the 2019 presidential election. It was gathered that the former vice-president, who would be 73 years old in 2019, saw the next presidential election as the best opportunity for him. It was learnt that he would stay in the ruling party and contest in the primary with the likes of Kwankwaso and the Kaduna State Governor, Mallam Nasir el-Rufai, who had also been tipped for the presidential race. Investigations also revealed that although Kwankwaso was not happy with the way the last congress of the APC in Kano State was conducted, he was hopeful of getting the party’s presidential ticket in the next primary. The former governor of Kano State, who had been at loggerheads with his successor, Abdullahi Ganduje, was reported to have defected to the PDP early this week. He had, however, denied the report. A source in the APC, who confided in Saturday PUNCH, said the former governor thought he had the best chance to pick the APC presidential ticket if Buhari declined to contest. The source stated that Kwankwaso thought that with his growing popularity among northern youths and his performance at the 2014 APC presidential primary, he could get the 2019 ticket. It was learnt that he would contend with Atiku, who seems to have more national spread and growing support in the South. A member of the APC National Working Committee, who does not want to be named, said Buhari was aware that the political atmosphere would be charged once his decision on the matter was made public. Although, the President had not disclosed his decision on the matter, his media aide, Garba Shehu, had in May 2017, said Buhari would win the election if fielded by the APC. Shehu had said Nigerians were happy with Buhari and would still vote for him, adding that “the confidence reposed in Buhari by ordinary Nigerians had remained unshaken because the President” is doing what they want. It was not clear if the Governor Nyesom Wike-led Reconciliation Committee of the PDP had visited Atiku, Kwankwaso and other former chieftains of the opposition party, but one of our correspondents gathered that the former vice-president was favourably disposed to returning to the former ruling party. However, sources close to Atiku said he was being tactical. One of the sources said, “He is waiting for Buhari. If the President says he’s running for a second term, then Atiku would leave the party for them and join the PDP. But Atiku’s spokesperson, Mr. Paul Ibe, refused to speak on the matter when contacted. “It is better to speak with those saddled with the responsibility of talking to former members of the PDP on the need to return, instead of asking the former vice president,” he said. Kwankwaso had through his Personal Assistant, Nafiu Umar Dankura, denied defecting to the PDP. A former President of the Senate and former PDP chieftain, Ken Nnamani, when contacted by Saturday PUNCH, said the opposition party had yet to approach him. He, however, said he didn’t know how he would react if approached to return to the party which he and several others had tried to reform several years ago. Nnamani said this while responding to enquiries from Saturday PUNCH in a brief telephone conversation on the subject on Thursday. Our correspondent in Ibadan could not get a former Governor of Oyo State, Rashidi Ladoja, for comments. But one of Ladoja’s aides, who claimed to be privy to the talk between Ladoja and the leadership of the PDP, said that the former governor could return to the PDP. The aide, who spoke on condition of anonymity, said, “As we speak, Ladoja and his people are still members of the Accord Party. I can authoritatively tell you that the leaders of the PDP at the state and national levels are negotiating with Ladoja to return to the party. They are in serious negotiations. “If at the end of the day, both parties are able to strike a deal at a convenient point, Ladoja and his group will consider moving to the PDP. But before this can be done, some conditions must have been met and that is the point where we are now. “When we talk about Ladoja moving back to the PDP, we are talking about his group in the South-West, who are now in the Accord Party. The AP will remain, even if Ladoja leaves with his people. When people left the Alliance for Democracy for Action Congress of Nigeria, AD did not die, but it was weakened while the ACN metamorphosed into a mega party after the coalition with some other parties. Another former governor of Oyo State, Adebayo Alao-Akala, who spoke with one of our correspondents from abroad, said that he was still a member of the APC. “The PDP leaders contacted me but I am still in the APC. I am currently not in Nigeria, so I have not sat down with anyone for a meeting,” he said.